The tradition is that Honda were renovating motorcycles every second year. 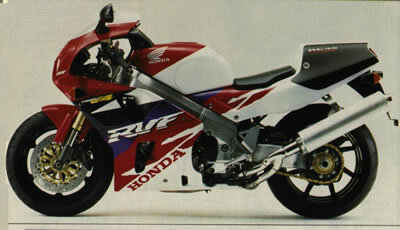 Same was with CBR-RR, which could sleep calm in success. Honda for this year changed color scheme and logos and also was improved stability by side stand. For those small changes potencial customer had to pay again littlebit more. But Fireblade had such a good position on market that would be sold out even for much higher price. Demand for was repeatedly higher than Honda was able to produce new bikes. Position on the market didn't threaten not even Yamaha FZR1000 EXUP nor heavy GSX-R1100WS and neither Kawasaki ZX-9R which was introduced in 1994.